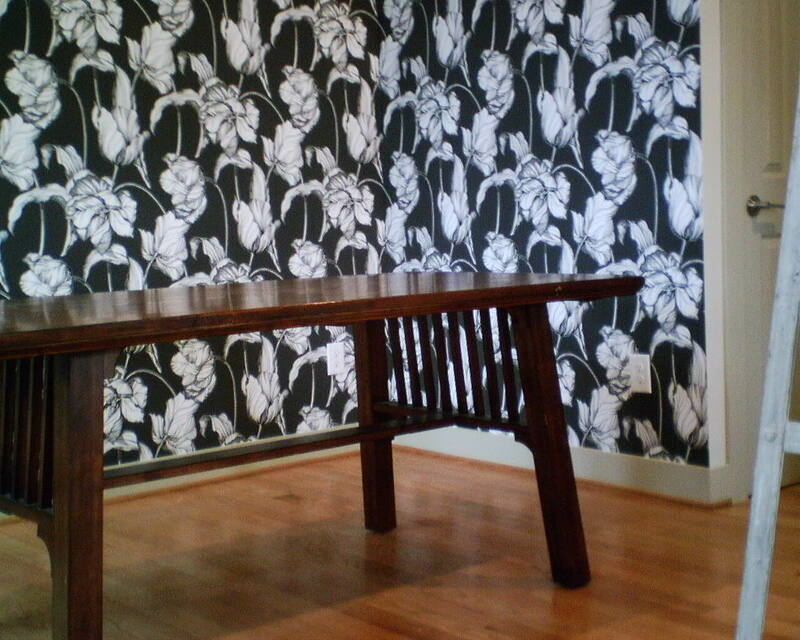 I wallpapered three rooms in this house. 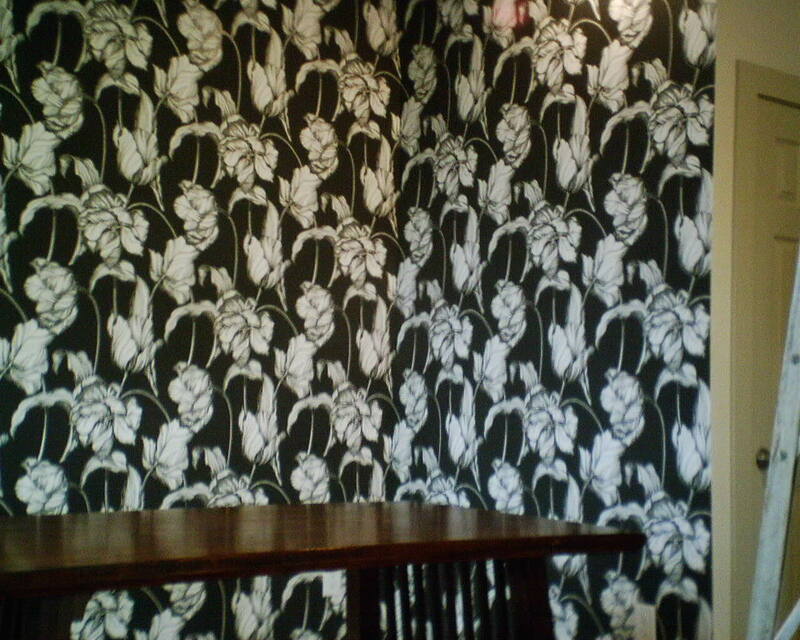 This article makes a tiny mention of wallpaper (but not me! 😦 ), and, if you watch the video, there is a quick shot of wallpaper in the entry at about 1 minute. Pamela Hope Designs is one of my favorite firms to work for. 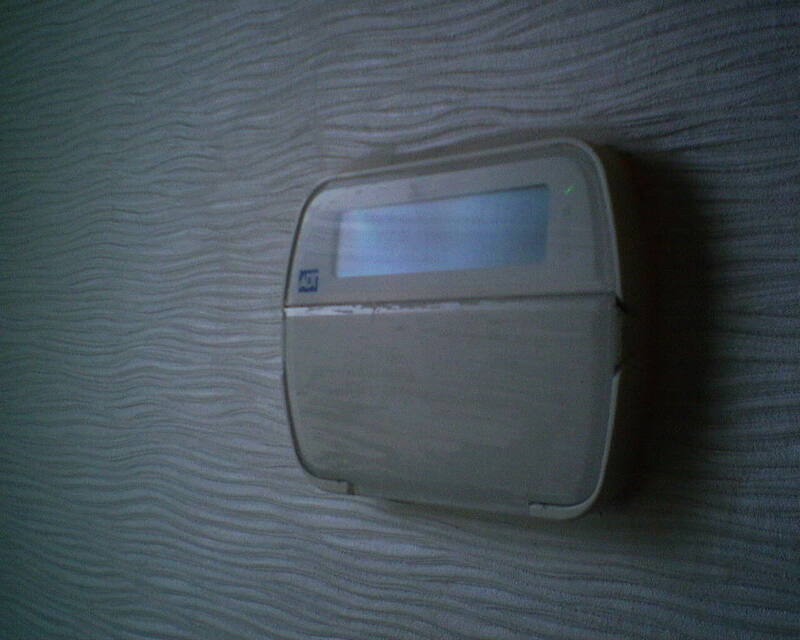 In the first photo, look at the paste residue another installer left on his client’s thermostat. 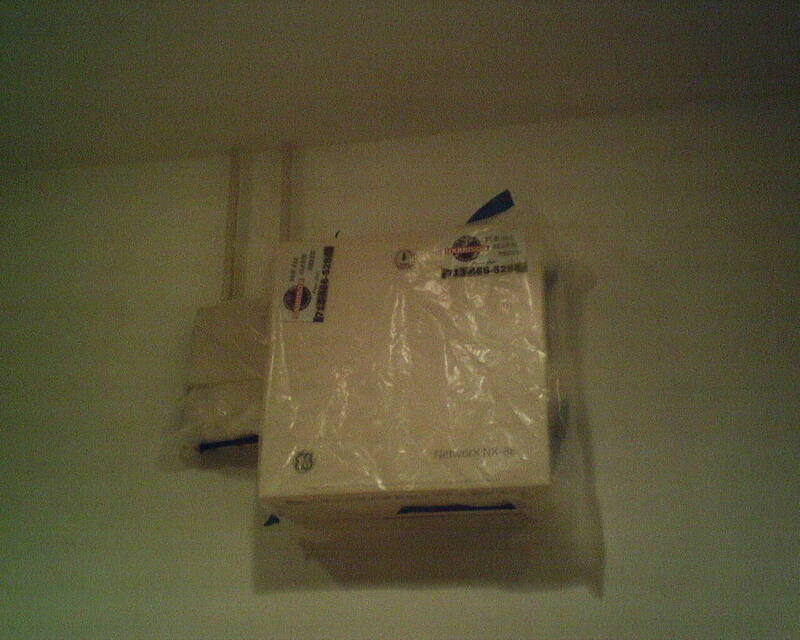 This is easily avoidable, because the covers are usually simple to remove, and then you can detach the whole thing from the wall, put the wallpaper behind it (which looks much better than cutting around it, and prevents curling, too), and then replace the thermostat, perfectly clean. On my job today, I encountered this 2-component alarm system. 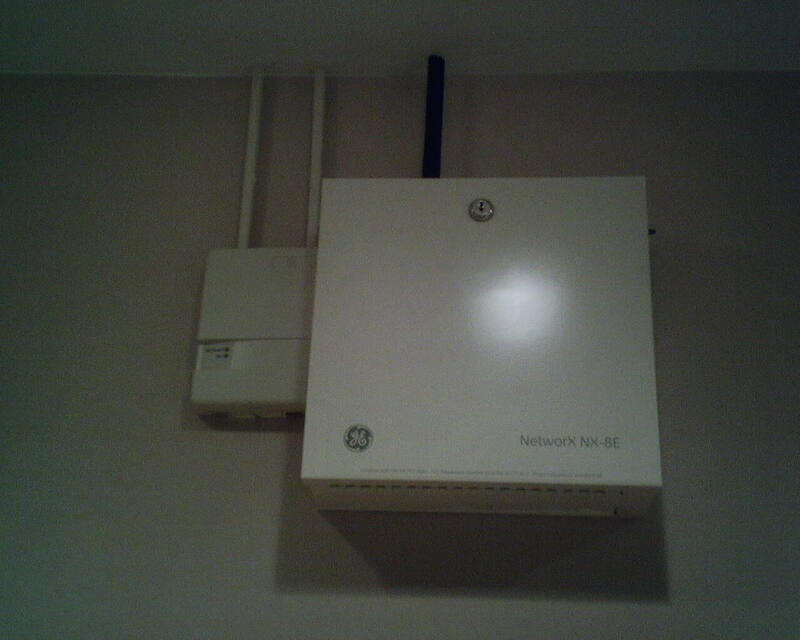 My original thought was to remove the outside boxes, much like a thermostat. But the thingie on the left wasn’t gonna budge from the wall, and the big box on the right had so many wires and intimidating stuff inside it that I quickly closed the lid and opted to work around it. It’s possible to put the paper up, smear paste on the boxes, and then go back and wipe it off. We wipe paste off all sorts of things all the time, like baseboards and moldings, mirrors and window glass, etc. But these boxes were complicated, and I didn’t want to spend a lot of time cleaning them afterward. So I taped plastic over them, then worked the wet wallpaper around them. The wet paste got on the plastic, but not on the boxes. Once I finished manipulating the paper into place, all I had to do was remove the plastic and the tape, wipe a very few minor areas, and it was all nice and clean and ready to go. Tuesday, I couldn’t finish my job, because painters were in the area where I was to work. (See my post of May 27, 2015.) Today I run into the same thing, but with electricians. In the foreground in the photo, you see my tool box (with rags on top of it), and I have set my roller tray on it, preparing to start rolling wallpaper primer onto the walls. Look again and you see that the electrician has dumped his trash (cardboard and a light bulb) into my clean roller tray. To the right of that is the box to the new fan I just spent $70 on. On top of that, the electrician has set his box of light fixtures. I can’t get my fan, I can’t get to my tool box, and I can’t prime walls. Even if I could access my equipment (and hopefully it’s still clean), I can’t move around the room because there are two guys pulling electrical outlets, turning the lights on and off, cutting holes in the ceiling for can lights (raining dust and Sheetrock debris onto the floor), and standing in my way. Oh, and they set stuff on my ladder, too. All this ate up at least two hours of my morning. 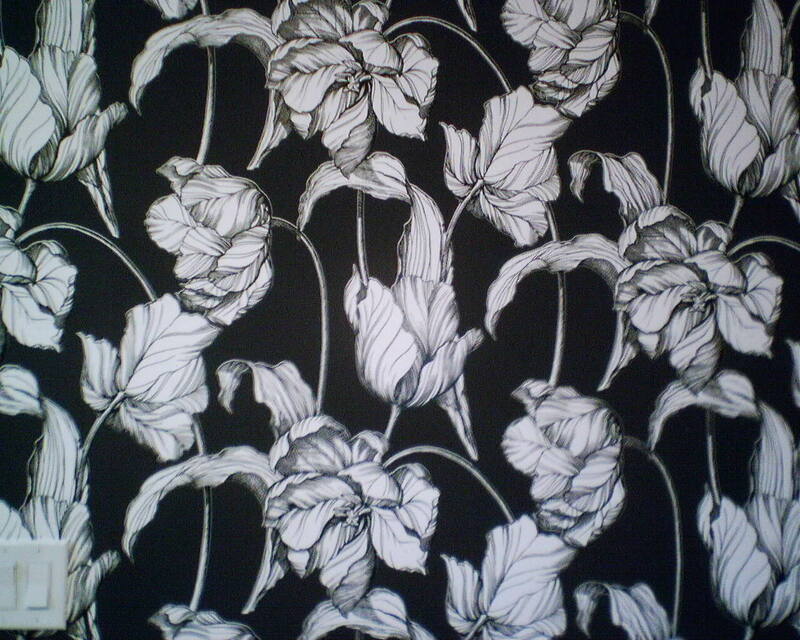 In Photo 1, you see one of many tan splotches on the back of this black & white wallpaper. The material was very thin, and you can see in Photo 2, that the tan discoloration showed through the front. 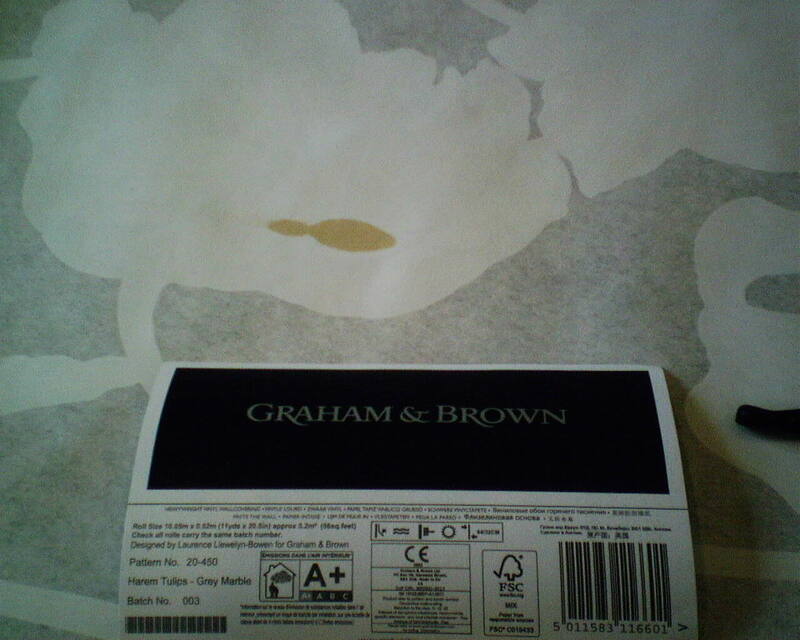 Even if you can’t see the stain from the front, I hesitate to use paper like this, because many stains will eventually work their way through wallpaper – blood, ink, rust, water stains, etc. 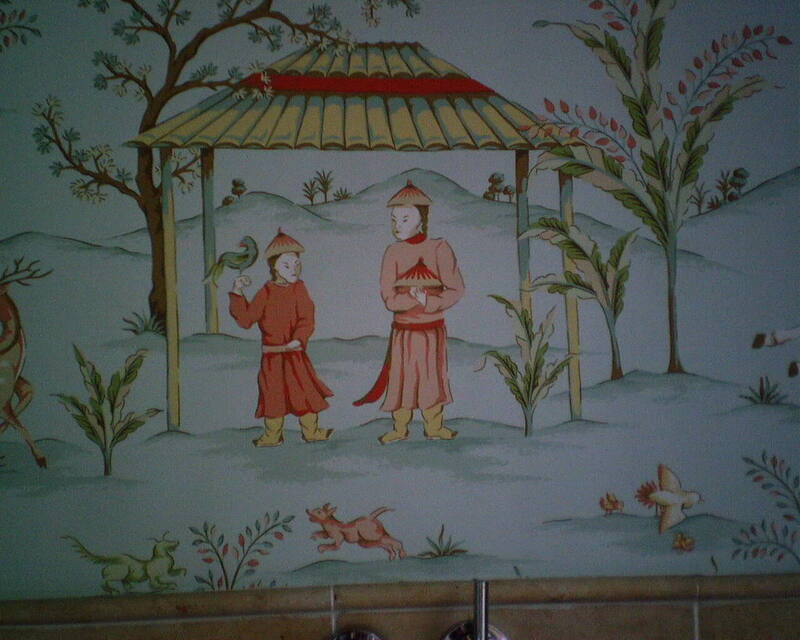 So I encourage people to buy a little extra wallpaper, for insurance in case of problems like this. Folks, if you want your new wallpaper to be clean, and free of paint drips and not be dinged or torn, to not have paste smeared over the surface or grit trapped in the paste underneath, then the wallpaper should be the last thing that goes into the house. ALL of the other construction has to be finished, and the workmen off the premises. 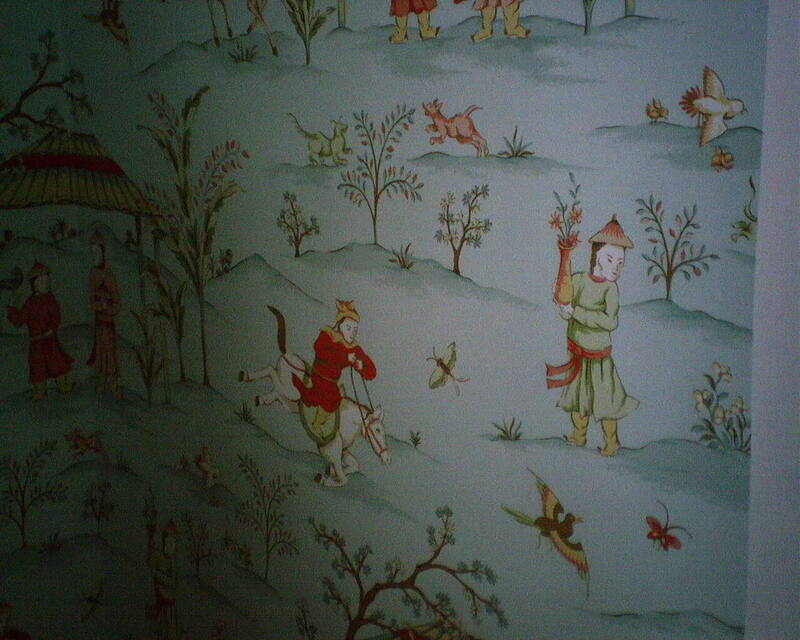 Seriously, do you want to spend $1000 on wallpaper (or more! 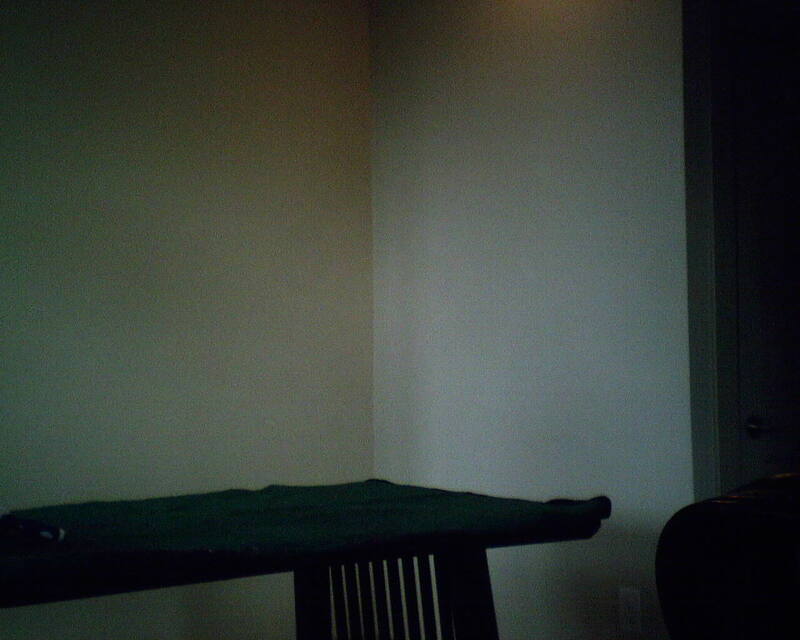 ), and half again that on labor, and have a painter come back and “touch up” the crown molding?? I can guarantee there is no way he can do that without getting some paint on the paper. No way. Also, please don’t have the plumber working upstairs on the same day I’m working downstairs – we will inevitably be crossing one another’s paths. I’ve had plumbers cut off the water to the house, leaving me with no way to wash off paste residue. I’ve had electricians cut off the power, leaving me in the dark in a powder room with no windows. I’ve had people throw things down stairs and rip the paper I just put up. I’ve had handymen hang chandeliers over my work table, dropping Sheetrock crumbs onto the pasted wallpaper, and I’ve had guys “borrow” my ladder (without asking) with all my tools on top, and plop their heavy, dirty equipment on top of my delicate tools. I’ve had guys push their way into a room where I’m working and knock me off the ladder. I’ve had people set their greasy hamburgers, or bowls of dog food, on my pristine, clean work table where I am rolling out pricy wallpaper. And vice versa … if a guy is doing a project in a home, he doesn’t want me there, competing for a parking space, walking through his work area, or stepping on his new tile floor so I can get to the room where the wallpaper is supposed to go. 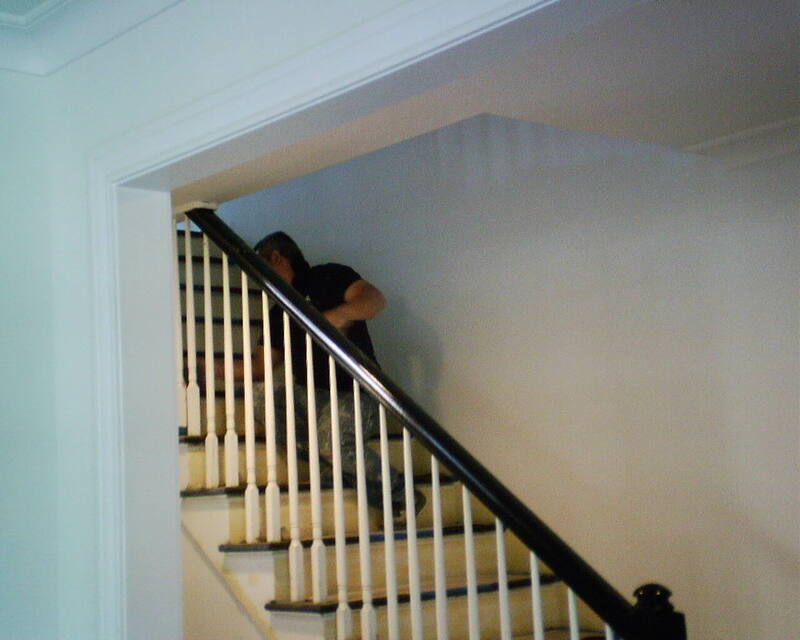 See this painter working on the stairs? 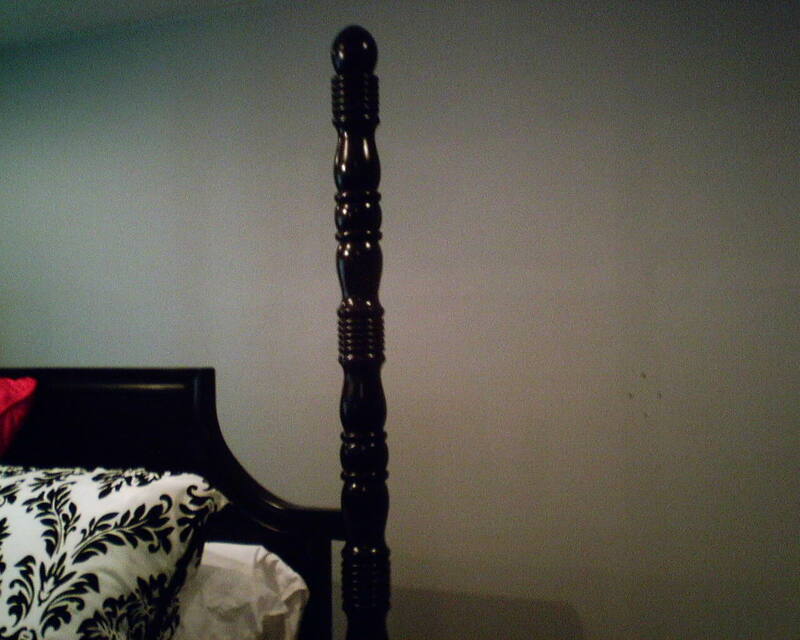 “The painters will be doing some touch-up – but they won’t be in your way.” Oh yeah?! I was to paper two rooms on the first floor, and one on the second floor. 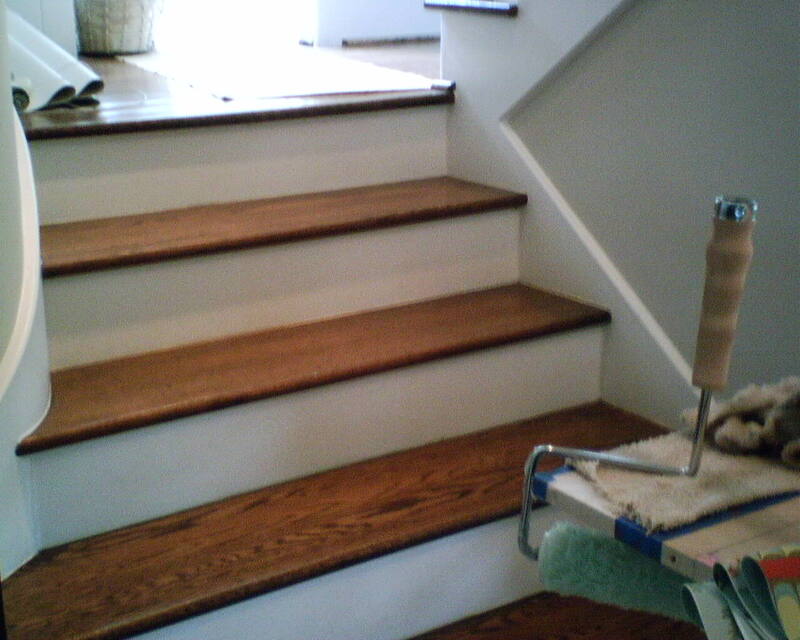 Just to get primer on the walls, I had to make about eight trips up and down the stairs, and that was a great inconvenience to the painter every time he had to stop and move his tools and climb down and let me pass. Eight times. And see the dust he is making? There was a pile of dust at the foot of the stairs, and in the room where I was supposed to hang wallpaper. Yellow dust, from wood filler. Now, how can I keep paper clean, when the floor is covered with dust and the air is full of dust? And air conditioning. Mold is bad for wallpaper. Humidity breeds mold. Humidity curls wallpaper. Humidity is the great enemy of wallpaper. Air conditioning (and heat, during the winter) remove humidity. Air conditioning and heating systems must be working, before I can put up wallpaper. And don’t even get me started on the noise from power tools! Worse than leaf blowers! I simply cannot concentrate, let alone do math or work out geometry, with all that commotion going on! It’s not that I’m a primadona. It’s that, to get your wallpaper to look its best, and to stay on the wall, there need to be certain things – like good light, running water, electricity, space for my ladder and room for my table, clean dry air, and relative peace and quiet with no distractions. So I leave, and the homeowner (or the contractor) says, “Just come back in two weeks.” But that’s something that’s easy to say, but hard to do. I am usually booked solid with work, every single day, for several weeks, if not months. There is no open spot “in two weeks” on my work schedule. It becomes a huge juggling act, trying to accommodate jobs that get off-schedule and other clients who have been patiently waiting… a nightmare, it really is. Much of this can easily be prevented by taking a realistic look at the construction time frame, and planning to have the wallpaper go up last. That’s the best way to ensure that your investment will be clean, stain-free, and undamaged. Dang these “modern” style homes, with their sunken living rooms and half-stories! I set my table up in the living room, and had to climb up five stairs to get to the powder room. Then back down five stairs to my pasting table. That is five steps up and five steps down – plus climbing up my ladder – for every strip of wallpaper in this 10-single roll powder room. Whew! When I first consulted with this homeowner to measure the powder room, she had samples of two wallpapers she was considering, including this one but in a different color. She mentioned that she was concerned about the wallpaper colors coordinating with the marble vessel sink, the tile, and the vanity. Well, I didn’t think that either of her original choices looked good in her room. So we thumbed through the book and found this Chinoiserie (Oriental themed pattern) which was one of her first choices, but in a different color. This version with soft aqua, tan, gold, and orange has just the right tones to accent the marble sink, as well as the reddish vanity and the tan tile. 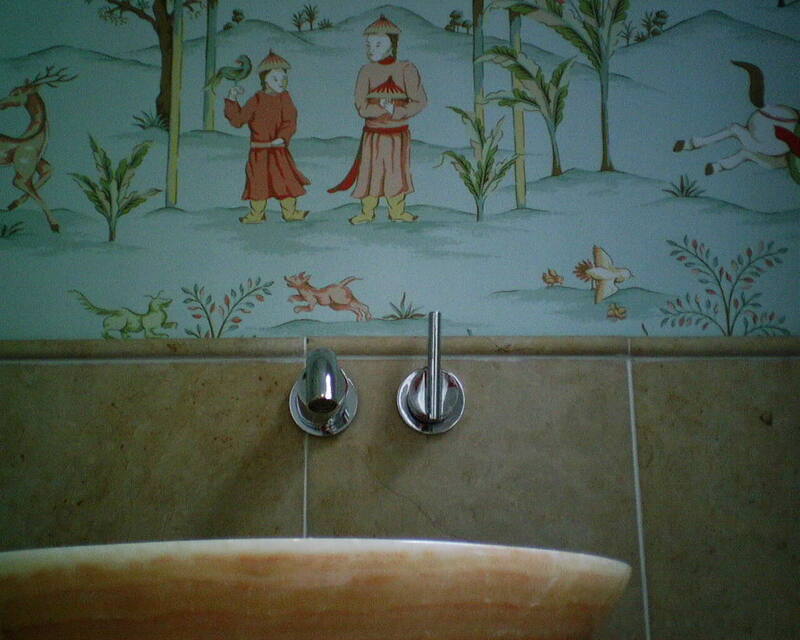 To make it better, in the adjoining room, she has a rusty orange sofa sitting in front of a pale aqua wall, so this wallpaper in the powder room helps pull both rooms together. 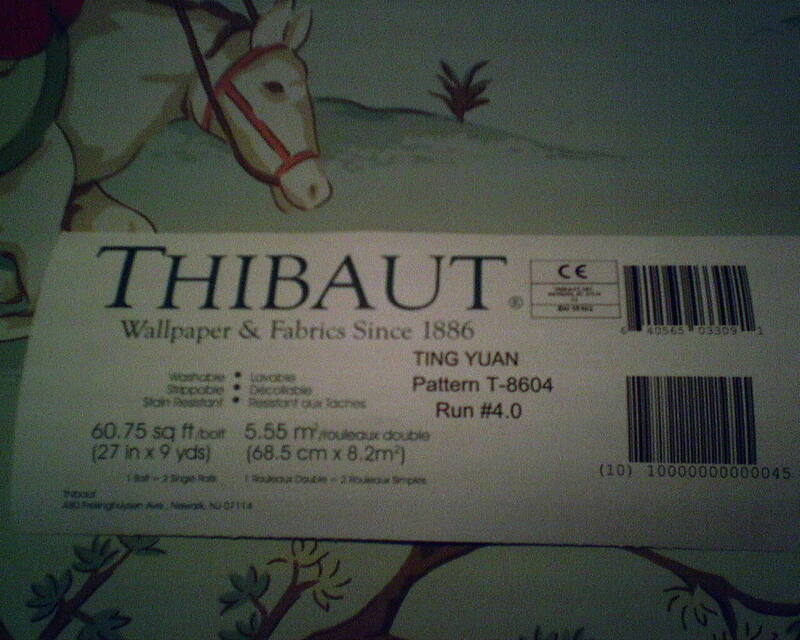 This wallpaper is by Thibaut Designs, one of my favorite manufacturers, Pattern #T-8604, “Ting Yuan,” and was bought at the Sherwin-Williams store on University in the Rice Village. I hung it in the powder room of a newish home in the Museum District of Houston. 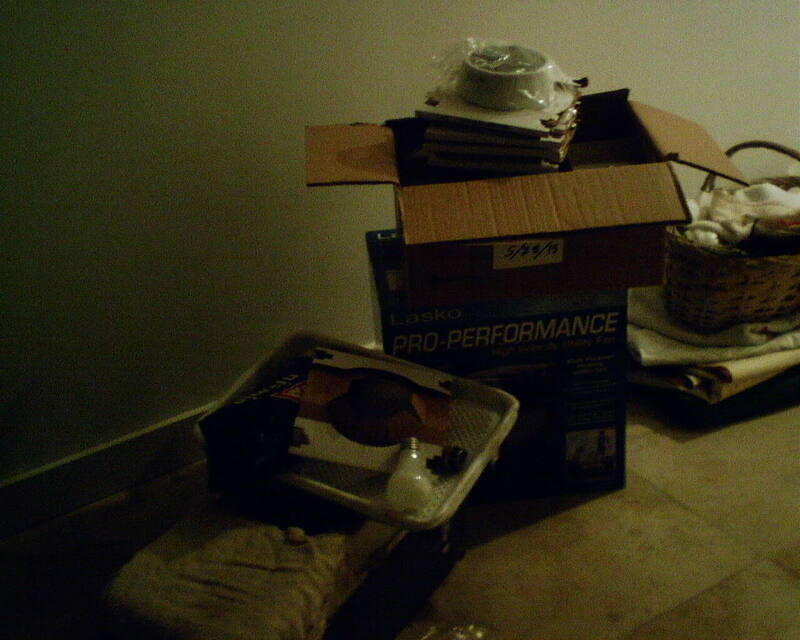 Photo 1 – Before: You can sleep in here, but the room is cold and uninviting. Photo 2 – After: You feel snug and warm and cozy in this bedroom. 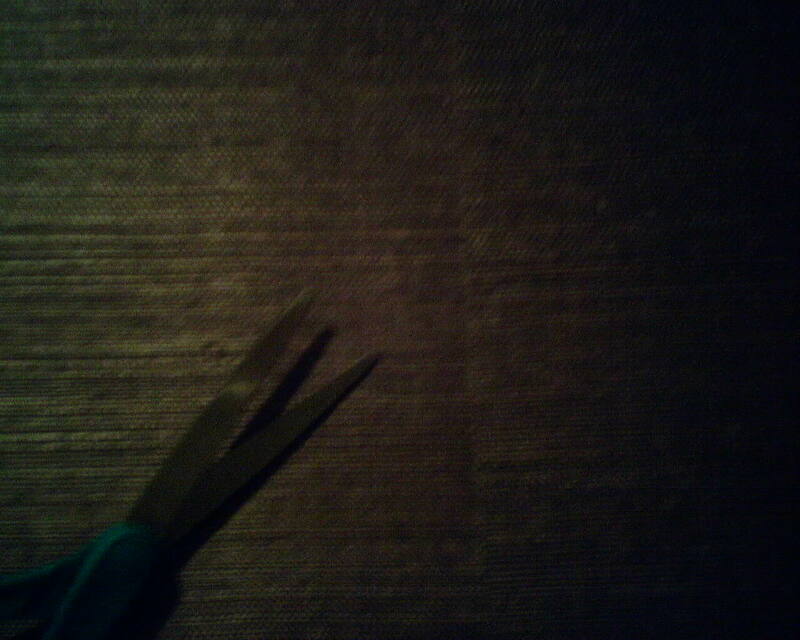 Photo 3 – A close-up of the texture of the grasscloth. 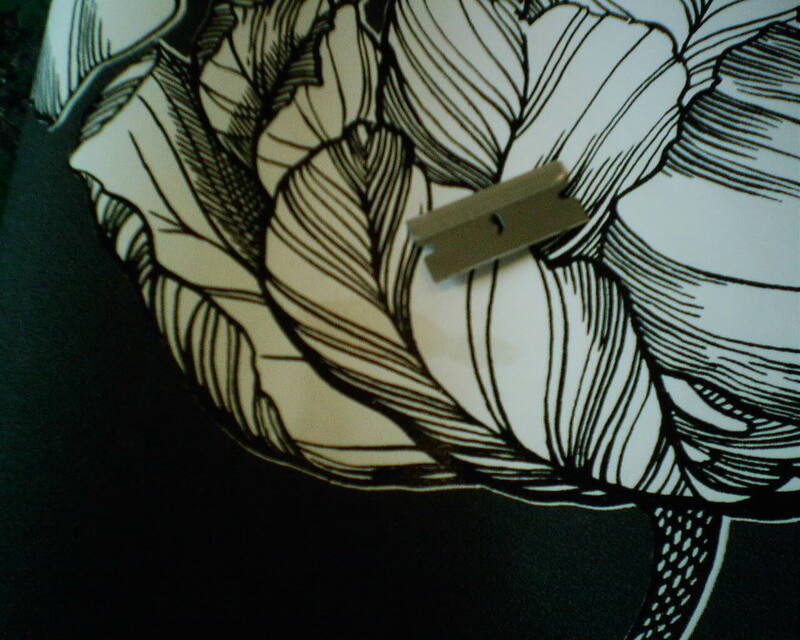 Photo 4 – My scissors is there to show scale, and to point to the seam. 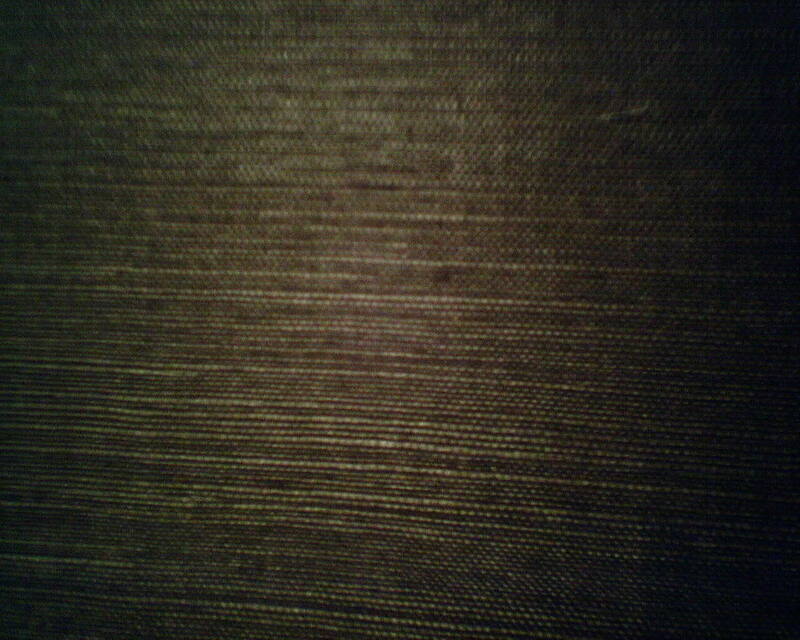 Note that with grasscloth, you will always see the seams, because the natural fibers do not have a pattern that can be matched. I was very happy that there was minimal shading or paneling (color variations between strips and / or within strips). The homeowner loved it. 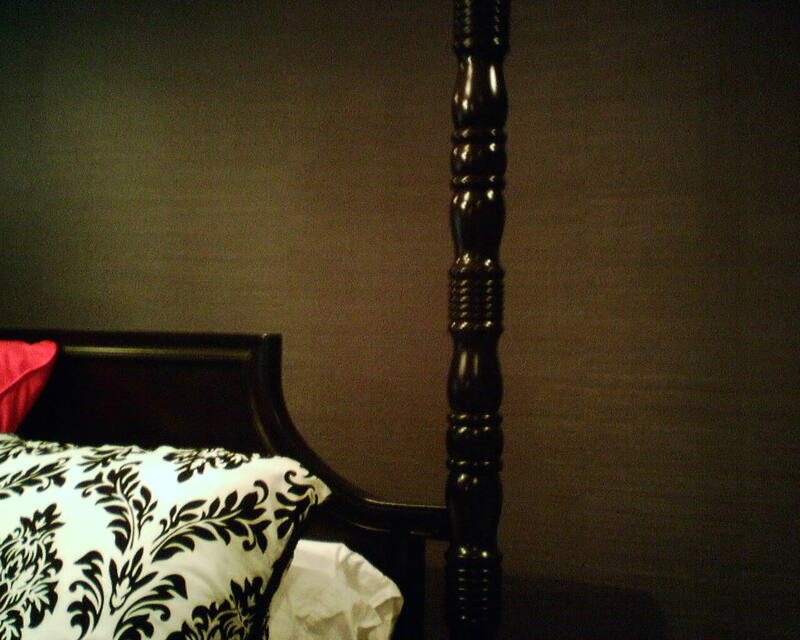 This grasscloth wallpaper is by Twill, and I hung it in the master bedroom of a home on the west side of Houston, near Memorial and Eldridge. You are currently browsing the Wallpaperlady's Blog blog archives for May, 2015.